Revive a metal garage side door with Krylon® Rust Protector™ Gloss Enamel and make a new entrance. Using a screwdriver, remove door from hinges and hardware from door. Use painter's tape to completely tape off any area that you do not want painted. Use cardboard or paper to mask window area. Using an all-purpose cleaner, thoroughly clean the door to remove dirt, oils and dust. Rinse thoroughly with water and allow door to dry. Applying in a well-ventilated area, prime door using the Krylon® Rust Protector™ Rust Preventative Primer - Gray, holding the can 6-8 inches from the surface and using a sweeping side-to-side motion with slight overlap. Holding can of Krylon® Rust Protector™ Gloss Enamel - Forest Green 6-8 inches from the surface and paint using a sweeping side-to-side motion with slight overlap. Make sure the door is completely dry before you remove the painter's tape and cardboard or paper. 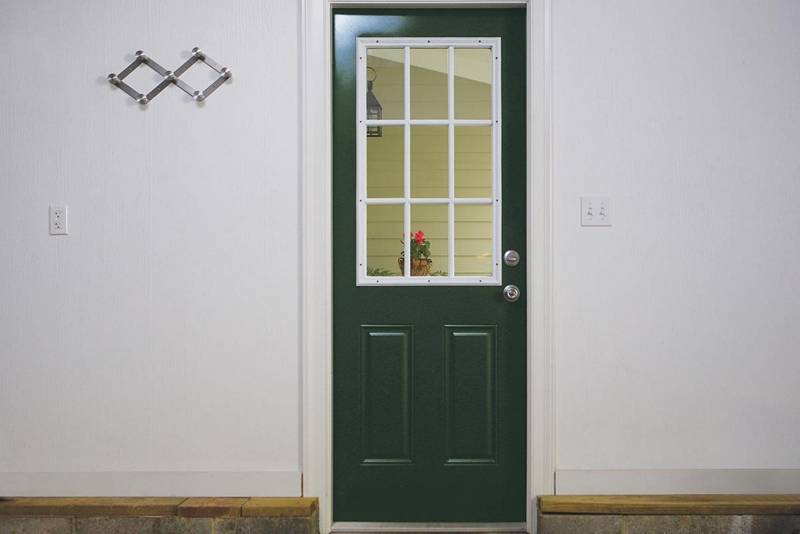 Krylon® Rust Protector™ Gloss Enamel dries in 8 minutes or less, and can be handled in less than one hour, although you may wish to wait a few hours before reattaching the hardware to the door and the door to hinges.